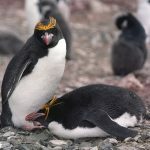 Tag Archives for " live "
Where Do Macaroni Penguins Live? Macaroni penguins are the most common species of the penguins in the world that named for its colorful feathers of the golden-orange temple peak. Its scientific name is Eudyptes chrysolophus. According to the researchers, more than 11 million of the breeding pairs of these penguins inhabit the Southern Ocean. Although the breeding figures of the species are still comparatively high, investigators have observed a distressing decline in these penguins, probably owing to change in climate and its influence on food supplies of penguin. Where do King Penguins Live? King penguins are the second largest species of living penguins which falls after the Emperor penguins. The Emperor penguins are the largest of all and they resemble the King penguins which always had been a confusion to discriminate these species. Penguins are fascinated species of the earth. The life expectancy of penguins depends on the species. The average lifespan of penguins ranges from 6 to 30 years. The little penguins or the fairy penguins live up to 6 years whereas; the Magellanic penguin recorded with the life of 30 years. However, the penguins that are in captivity have a longer life than those in the wild. Penguins live in the Southern Hemisphere in Antarctica and one species the Galapagos found near the north of the equator and also few species also live in temperate regions. Jackass penguins are penguins that live in Africa in a warmer climate. Where do Gentoo Penguins Live? Gentoo penguins are fresh looking penguin species that live in Antarctic Peninsula and sub- Antarctic Islands. They have a long tail and a unique white patch on the head. They are easy to differentiate from the closest family member Adelie and Chinstrap penguins. Where do African Penguins Live? Ahead of the question whether penguins are found in Africa, now it’s time to know about the places where you can spot them in Africa. African penguins are most loved and popular species among tourists of Africa. They are banded penguins and share a similar color, characteristics like other close relatives like, Humboldt, Magellanic, and Galapagos penguins. African penguins are found only in the southwestern waters of Africa. African penguins breed only in Africa and not an epidemic to other places except if it is captivated. They live in colonies of 24 islands between Namibia and Algoa Bay which are near Port Elizabeth. The islands bounded by are called as Penguin Islands.